Never mind the British Invasion, it’s the Cavern Club that’s taking over the US this month with three exciting high-profile events on the West Coast. We’re flying the flag for Liverpool over one packed week of brilliant music and celebration of the Cavern’s – and the city’s – rich musical heritage. Cavern Club directors, including John Lennon’s sister Julia Baird, and the Cavern Club Beatles are due to jet in to Los Angeles on April 23 (St George’s Day) at the start of eight days which will put the legendary Mathew Street firmly centre stage. On April 24, the Cavern hits BritWeek where our new 60thanniversary documentary film, The Cavern Club: the Beat Goes On, has been chosen to launch the annual event. BritWeek was founded in Los Angeles in 2007 by Nigel Lythgoe and the then Consul General Bob Peirce, and every spring it hosts a programme of events in California that promotes British creativity, innovation and excellence across multiple categories including, film & television, music, art, fashion, design, retail, sport, philanthropy, business and more. Events take place across Greater Los Angeles and attract support from thousands of people, including international celebrities, business and political leaders. 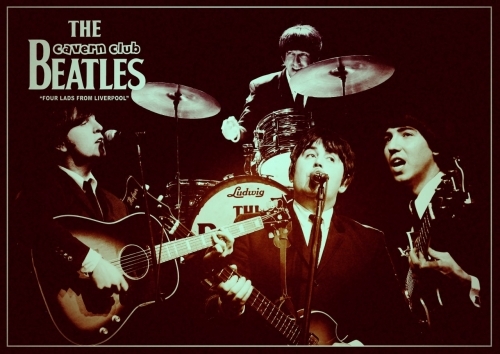 The documentary will be shown at a private screening before a specially invited audience in Beverly Hills, and will be introduced by Julia Baird, with a live performance by the Cavern Club Beatles following the film – and as a teaser for the band’s first-ever US tour. The next day the Cavern’s West Coast tour will take the party north of the border to Canada, where the latest Cavern Club at Sea is being launched on board Norwegian Cruise Line’s Norwegian Joy. 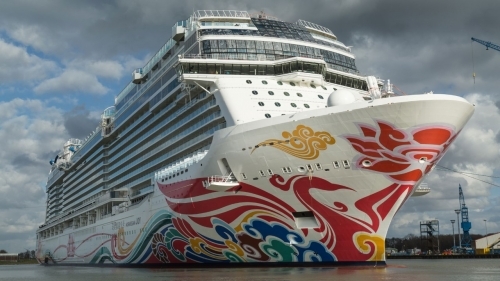 The newly-refurbished Joy, which can accommodate more than 3,800 guests on Alaskan routes from Seattle, is the third cruise ship in our partnership with NCL to boast a Cavern Club, following the Norwegian Epic in 2015 and Norwegian Bliss last year. The Cavern Club Beatles will perform in the recreation of the most famous club in the world as we sail from Vancouver to Los Angeles on Norwegian Joy’s inaugural cruise. And along with the band, Cavern Club directors including Julia Baird will take part in special panels and presentations during three days on board ship. Disembarking in LA, it’s straight off to the Newport Beach Film Festival where the Cavern documentary is set to receive its first public screening as part of the official selection at the prestigious event. The 20th annual festival runs from April 25 to May 2 and will attract more than 500 film-makers and 50,000 film fans to Los Angeles’ Orange County. The documentary, presented by Paul McGann and featuring a host of faces including Sir Paul McCartney, takes viewers on a fascinating rollercoaster ride through the life of the club dubbed ‘the cradle of British pop music’ and which remains the beating heart of Liverpool’s iconic music scene. 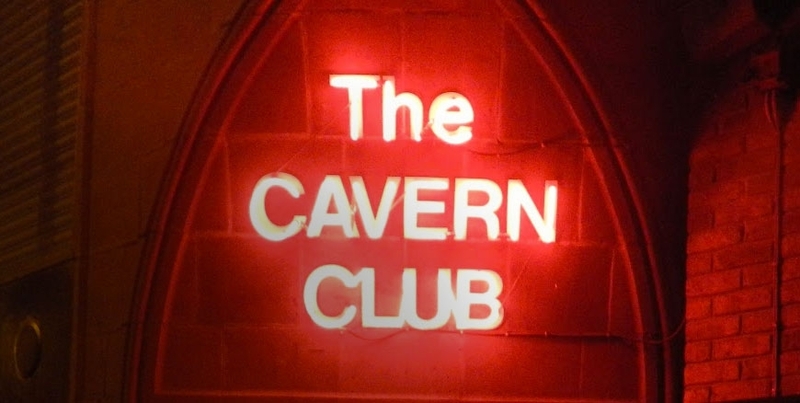 Cavern Club director Bill Heckle said: “This ‘US invasion’ has been a long-time in the planning, and we’re pleased and proud to be able to represent the Cavern and Liverpool on so many important platforms. 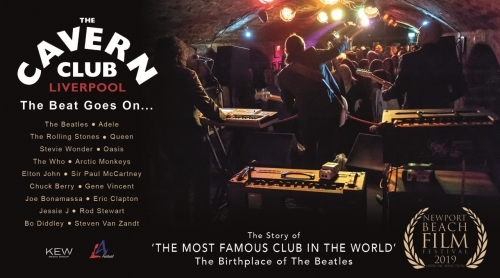 And fellow Cavern director Jon Keats added: “The Cavern Club: The Beat Goes On had fantastic feedback when we showed it to an invited audience here in Liverpool last autumn, and we know there’s going to be a real appetite for it from US audiences too.